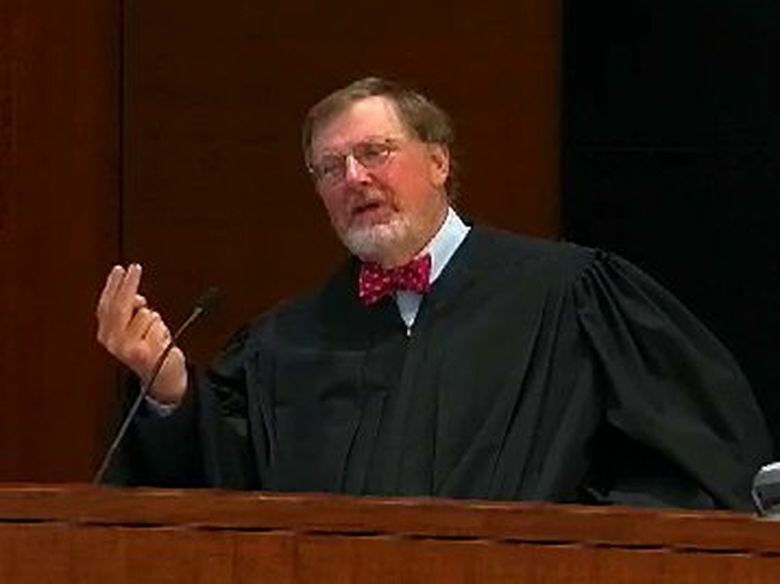 U.S. District Judge James Robart said in a ruling Friday that a nationwide stay on the travel ban by a federal judge in Hawaii makes a restraining order here unnecessary. A federal judge in Seattle will not issue a temporary restraining order against President Donald Trump’s latest travel ban sought by Northwest immigrant-rights advocates on behalf of families separated by the ban. U.S. District Judge James Robart said in a ruling Friday that a nationwide stay on the travel ban by a federal judge in Hawaii makes a restraining order here unnecessary at this time. Robart, who heard arguments in the case last week, ruled that any harm that might be suffered by plaintiffs in the proposed class-action lawsuit will be addressed by the ruling from Hawaii. The families, represented by the Northwest Immigrant Rights Project (NWIRP), had asked Robart to issue a temporary restraining order at a hearing Wednesday. Arguments in that case had barely ended when U.S. District Judge Derrick Watson in Hawaii blocked implementation of the travel ban nationwide. Many of the plaintiffs have family members trying to come to the United States who are stuck in one of the six mostly Muslim countries named in the revised travel ban. A federal judge in Maryland has also issued a national stay against parts of the latest travel ban, which was signed by Trump on March 6. It modifies an earlier order, issued by Trump on Jan. 27, that temporarily banned immigration and stopped refugee programs entirely from seven predominantly Muslim counties — Iraq, Syria, Iran, Sudan, Libya, Somalia and Yemen. 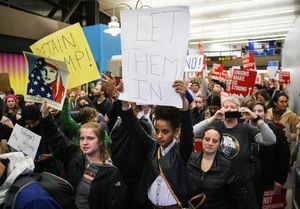 Rough implementation of that ban led to havoc and protests at many of the nation’s airports, including Seattle-Tacoma International Airport. On Feb. 3, Robart issued an order halting implementation of the travel ban, drawing criticism from the president and leading to an appeal to the 9th Circuit Court of Appeals, where a three-judge panel unanimously sided with Robart. The Trump administration withdrew the appeal and issued the second executive order, modifying the first travel ban and removing Iraq from the list. NWIRP had originally filed its lawsuit Jan. 30, right after the first travel ban was issued. It amended its complaint last week to challenge the second order, and asked Robart at last Wednesday’s hearing to do what he did with the first travel ban and stop implementation. Robart, in Friday’s order, noted that when he was hearing arguments against Trump’s first executive order, a court in Hawaii stayed its proceeding to let the Seattle case play out. Now, he said, the tables have turned and he will issue a stay while the case in Hawaii proceeds, presumably to the court of appeals. In the meantime, any potential damages that might be suffered by the plaintiffs in Seattle will be mitigated by the order out of Hawaii.